Heather Lynn McCann-Mueller, 46, of Gardner formerly of Ransom passed away at 11:40 AM Wednesday (December 5, 2018) at her residence. Cremation rites will be accorded and a Celebration of Life will be announced later. The Hagi & Baker Funeral Home in Streator is in charge of the arrangements. She was born on July 3, 1972 in Streator to Larry & Marilyn (Fairall) McCann. She is survived by a son, Austin Cole Mueller; a grandson, Ryder James Mueller; her parents of Ransom; a brother, Dax McCann of Ransom; her life partner Chris Childers of Gardner; and Chris parents Penny (Mike) Barron of Tennessee and her son Cory Barron and other family. She was preceded in death by her grandparents: Glenn & Dolores McCann and Arlie & Agnes Defenbaugh. She graduated from Streator Township High School and Joliet Junior College. She had been a nanny for many years and worked construction for Glenn McCann Company. 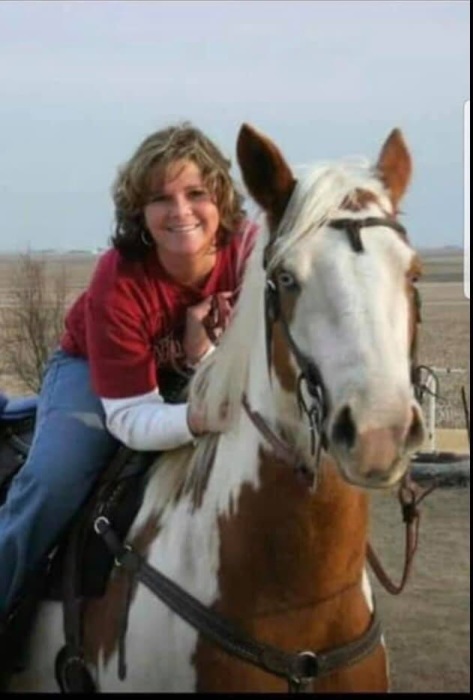 Heather loved horseback riding, camping, skiing, her dogs and her friends, parents and Christopher. Memorials may be directed to NOCC (National Ovarian Cancer Coalition) Illinois Chapter.